Dying, like birthing, used to take place in the home. It is only in the past century that death has routinely included things like embalming and immediately passing off the care of the deceased to mortuaries. But we are starting to understand that making death invisible does not erase it, and, in fact, prolongs, muddies, and complicates our grief. We have a deep, primal need to care for our own dead, and to sit in a watchful vigil with them, as our ancestors did before us. The '“death positive” movement is reclaiming dying, bringing it back into the loving hands of family and friends. As you or your loved one transitions into home hospice or approaches your last days, I can be there to help guide you and to relieve pain and soothe anxiety through gentle acupuncture, massage, aromatherapy, sound therapy and simply by being calm and quietly present. I can help connect you with resources to handle paper work, as well as options for cremation and natural burial. After your loved one passes from an extended illness, you have the right to keep their body at home (or return it to the home from the hospital) during the first few days following death, to wash, dress, and shroud it and to hold funeral services at home, just as humans have done for millennia. It is safe and legal. As long is the body died naturally and was not carrying a communicable disease, there is nothing inherently dangerous about a dead body. Far from being morbid, the practice of caring for your own dead at home can be deeply life affirming, loving, and tender. Home funerals can be held for grandfathers and grandmothers and wives and husbands and even sweet stillborn babies. We no longer have to have our dear ones ripped from our arms shortly after death and whisked away to be embalmed and refrigerated and placed in exorbitantly priced casket. You can help slow the decay of your loved one with a bed of ice, and a simple shroud or box is all that is legally required for burial in California (although some cemeteries may have their own policies, they must legally allow you to purchase your casket elsewhere if you wish). Mortuaries often prey on grief and guilt to manipulate and upset to the bereaved. But it doesn’t have to be that way. As a Death Doula, I can be there to help you understand your choices and to physically and emotionally support you and your caregivers and loved ones. At a training with Mortician and Author Caitlin Doughty and Death Doula Alua Arthur. 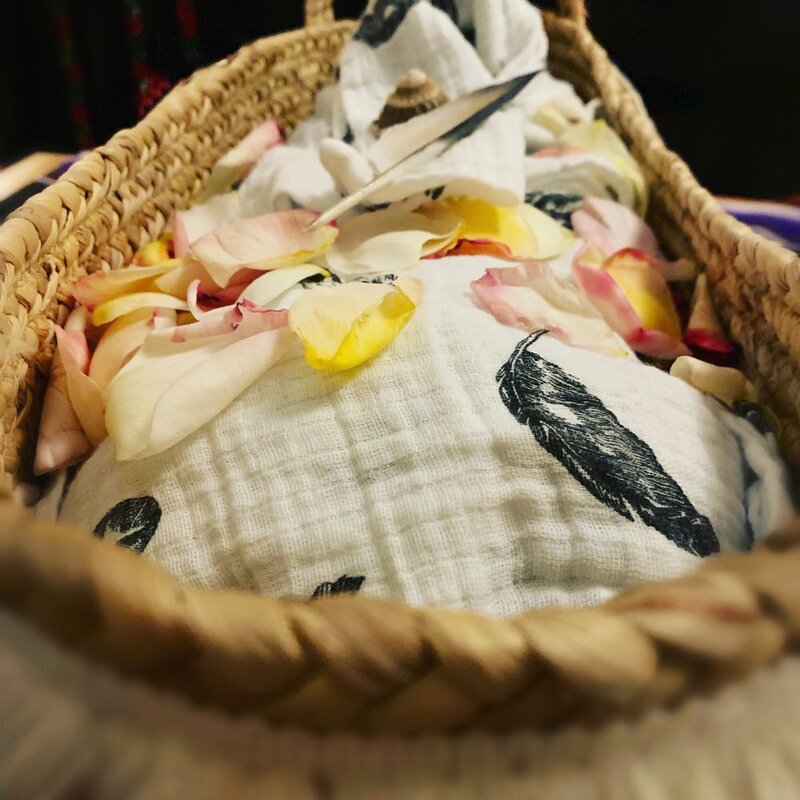 As a member of The Order of The Good Death, I’ve been trained to facilitate home funerals by Jill Schock of Death Doula LA, Alua Arthur of Going with Grace, and Amber Carvaly of Undertaking LA. I highly recommend using the VERY afforadble, natural mortuary services of Undertaking LA. If someone you love has just died please contact Undertaking LA, FIRST. Death and illness are a part of every life. I’m here to help you navigate this challenging time, so that you might experience dignity and peace in your final moments. If you are interested in bedside acupuncture for end of life or home funeral care, please message me directly to discuss your options. No one should have to go through this alone. A specialized session for those who are actively grieving or feel that repressed grief us currently affecting their physical or emotional health. Acupuncture has number of points that are traditionally associated with helping the patient integrate their grief somatically. I augment the session with your choice of relaxing, grounding , or uplifting aromatherapy (or no scent at all), a combination of live healing sounds from buffalo drum to crystal singing bowls and chimes, and a wee bit of therapeutic tui na (Chinese medical massage) to help release and soften grieving. Herbal formulas or CBD to help support the grieving period are available for purchase. Please note: During the first month following a stillbirth or SIDS death, 3 hours of acupuncture or doula services is completely free of charge to mothers. Discovering that miscarriage or stillbirth is imminent is one of the most devastating experiences a mother can have. I am available for on call support in the home or hospital, and offer acupuncture and herbal pain relief, grief support, and the coordination of services and rituals to honor your baby. I have woven Moses baskets available to transport baby site, and will provide materials for keeping baby cool to slow decay and prolong bonding time. I am happy to take photographs, foot prints, or hair clippings and beautifully prepare them for you to cherish. Additionally, you may choose to save your placenta or umbilical cord, and I can make beautiful art for you to treasure that honors the memory of your baby. I am also happy to help facilitate to donation of breastmilk or assist you in the process of drying up your milk supply. In the case of a stillborn child or SIDS death, the first 3 hours of care are completely FREE to mothers (within the first month following the death of their child and within 5 miles of 90039). Pricing is for 3 hours and 100 dollars for each subsequent hour . Travel more than 5 miles outside 90039 is additional. 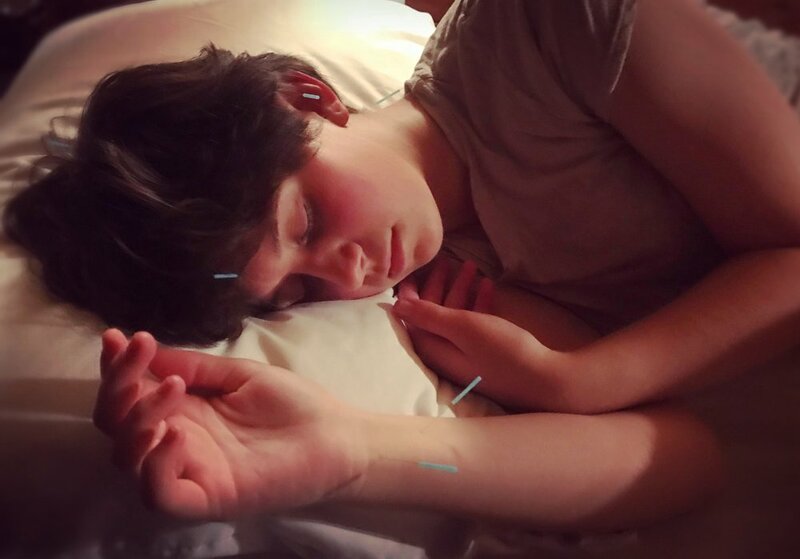 Bedside painless acupuncture and/or sound therapy/gentle body work for the patient on home hospice. This can both ease physical pain and help to alleviate anxiety around the dying process. This therapy is also available for exhausted and grieving caregivers. Additional services include assisting communication with family and caregivers, assistance accessing resources and funeral planning, and facilitating home funerals, for those who would like to wash, dress, and mourn their loved one at home. Prices will vary depending on length of time, travel, and duties. Abortion is not often talked about, and can be an isolating experience. I am available to provide judgement free acupuncture for pain relief and emotional support to those using the "abortion pill" at home or following a medical abortion. Pricing is for 3 hours and 100 dollars for each subsequent hour . Travel more than 5 miles outside 90039 is additional. Services must be scheduled no less than 3 days ahead of time. click the button below. I originally designed these for grieving mothers. I make .50 cents per button which goes toward helping me provide free care for grieving mothers.